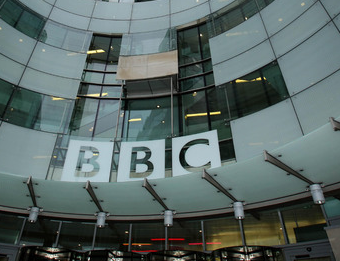 UPDATED | The BBC says it will only face a 10% cut in licence fee funding for its services, once other aspects of this week's licence fee deal are taken into account, less than the amount claimed across the media in the wake of yesterday's Summer Budget. And those entitled to a free TV licence will be given an opportunity to voluntarily pay for a licence, according to James Heath, the BBC's Director of Policy. "We will give those eligible households an opportunity to voluntarily pay for a TV licence and so make a contribution to the cost of the BBC’s services." As reported earlier this week, the licence fee contribution towards broadband roll-out will be phased out as the BBC's obligation to take over funding for TV licences for the over-75s is phased in. This means that £150 million a year will be added to the BBC's licence fee intake at the same time over £700 million is taken out. Together with additional income raised from the modernising of the licence fee to include viewers who only use catch-up TV, expected to be around £100 million a year and an annual increase starting in 2017 in line with the CPI measurement of inflation as well as further efficiency savings, the BBC anticipates that the new arrangements "will result in flat cash funding for BBC services over the first five years of the next Charter period", according to James Heath. "In real terms, the licence fee funding available for BBC services will be down by around 10%. "The way the financial settlement is structured gives the BBC some room for investment in digital transformation in the early years of the next Charter before the full cost of over 75s is absorbed. This will help us to manage the transition we all know is coming to an online world. "Of course, once the Charter Review process starts there could be further pressures faced by the BBC such as decriminalising the licence fee which would, in our view, lead to an additional cost of £200m pa. As part of the agreement, the Government has said it will consider decriminalisation in light of the Perry Report and the need for the BBC to be funded appropriately." Opposition politicians have criticised the nature of the deal which led to this week's announcement. The BBC Trust said it couldn't endorse the process that led to the deal.